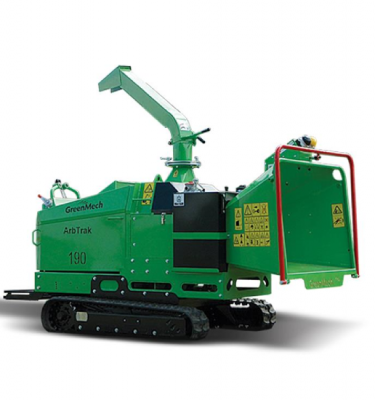 The ArbTrak 190 is designed to effortlessly get to all those hard to reach locations. 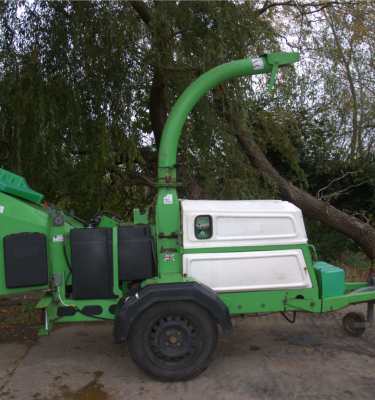 You can rely on this popular tracked wood chipper, with a high ground clearance of 274mm, to access difficult sites over rough terrain. A speedy tracking speed of 3 kph allows the operator to get to the job quickly. A fold-out platform offers the option, when tracking long distances, to stand on the machine rather than walk behind it. 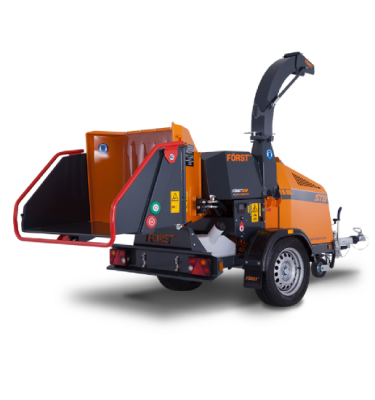 To increase output, and reduce the number of chainsaw cuts per day, the ArbTrak 190 has a wide 1200 x 840mm infeed chute and a 190mm x 280mm wide letterbox-style infeed throat opening. This combination makes light work of heavily forked branches leading to rapid bushy brash reduction. The twin vertical hydraulic rollers efficiently crush the material with minimal lateral movement. As standard the ArbTrak 190 comes fitted with our patented Disc-Blade system which gives up to 150 hours chipping before requiring re-sharpening. For those traditionalists who prefer to use straight blades on their machines, this option can be specified on ordering, but the ArbTrak 190 has a flywheel fitted with 4 Disc-Blade. 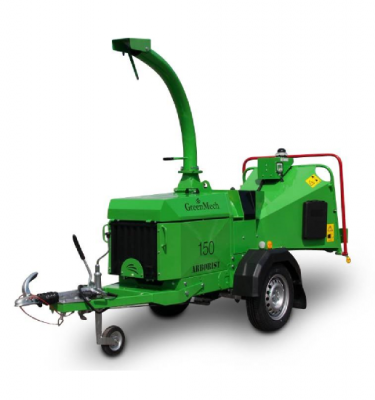 The electronically controlled No-Stress feed system reverses the feed rollers to relieve the chipper blades, allowing the rotor speed to recover quickly, yet again increasing output. 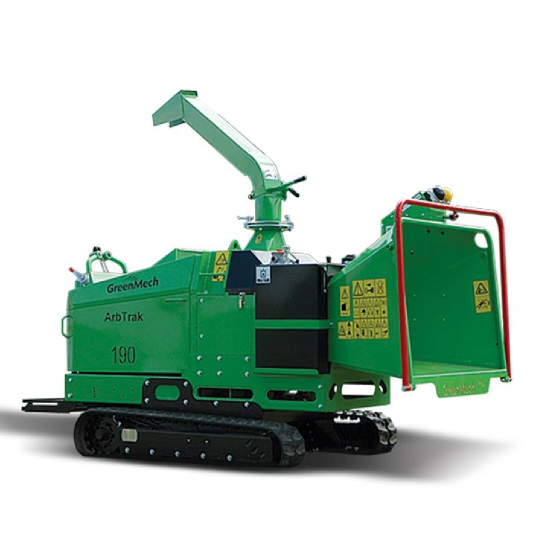 Manufactured from deep-beam high tensile steel for a strong chassis this in-line chipper, whilst simple and cost-effective to use, is nevertheless designed for performance. Insulated, easily removed steel panels, protect the powerful 45hp Kubota turbo diesel engine, and offer robustness with noise reduction. The control box and re-set button are located in a safe and convenient place on top of the infeed chute for easy access and simplicity of use.